Your goal is to see Albireo, known as Beta Cygni, in the constellation Cygnus. 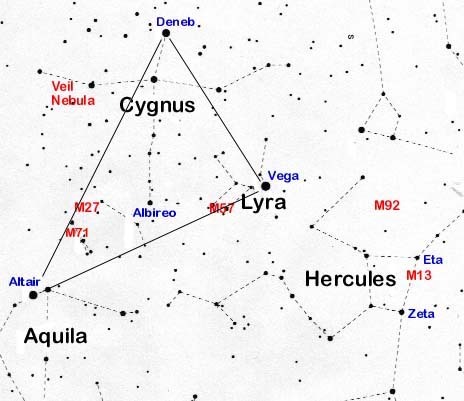 First, you locate the summer triangle of three bright stars: Vega in Lyra, Deneb in Cygnus and Altair in Aquila. Albireo is the brightest star not too far from the center of the triangle and about half way between Vega and Altair. After getting Albireo in your sights, you are sure that you have found it because you see, not one star, but two: The brighter of the two stars is yellow-orange; the less bright one is blue. 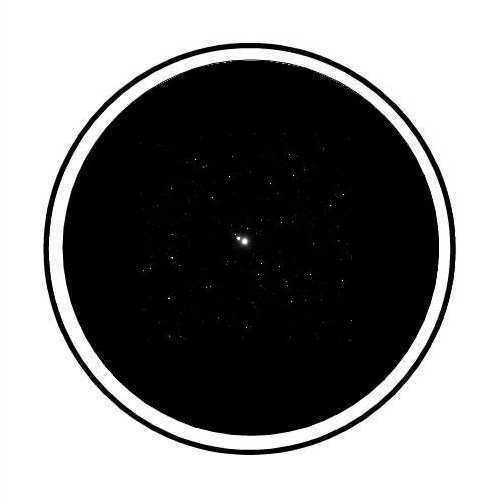 The colors are hard to discern in your telescope. More than half the stars in the Universe are actually binary stars, that is, two stars that orbit around each other. If the mass of Jupiter had been about 75 times bigger, Jupiter would have been a drawf star and the Sun and Jupiter would have been a binary star system. It turns out that the brighter star of Albireo is actually a binary star so that three stars compose Beta Cygni!